So, I have been MIA for eighteen days now and have a really good explanation. No, I didn't quit my blog, but I did make a really big life change. Remember when I posted about selling our home? Well, the house was sold in Northern VA and we bought a new home in North Carolina. There have been lots of big changes these past few weeks which is why I put Food Fashion Home on the back burner. It was about time I took my face out of moving boxes and back into the world of blogging, where I really would rather be. Jeff and I are officially moved into our new home. 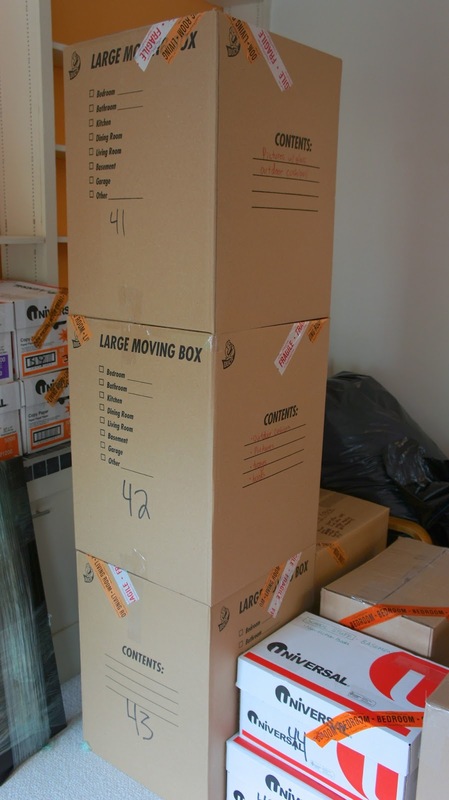 All the boxes are unpacked and the place is relatively how we will keep it for a few months. If you have ever moved, you know how much work goes into preparing your home for sale; organizing, packing, cleaning, moving, cleaning again, unpacking, and organizing again. Pretty much a palindrome of actions; doing the same things again in a different order. After a little over a week, we have managed to do all this work and have it ready for a family visit this past Thursday. Please keep in mind, I am a teacher and literally finished work the day I moved down here so I have not had to go to work. Also, I have no children, Jeff doesn’t count (only sometimes). So, getting it done in this period of time is not realistic for everyone. I couldn’t imagine working and having kids and doing all this. OVERWHELMING!! I am just happy to say the last box is unpacked. So, now that I am back in the “blog-o-sphere” and our house (inside anyways) is livable, the projects are piling up in my brain. There are tons of outdoor projects to be done as well as little inside jobs that I would like to do. Here is a list of things I am really looking forward to doing soon to the new house. 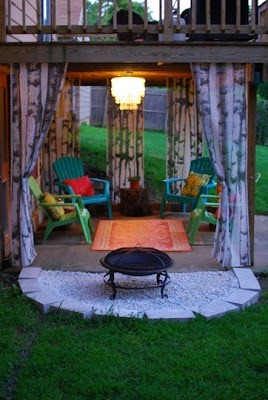 - Outdoor curtains- I really want to do something similar to this inspiration pinned by Blissful Mediocrity. We have a similar under deck area that needs help. 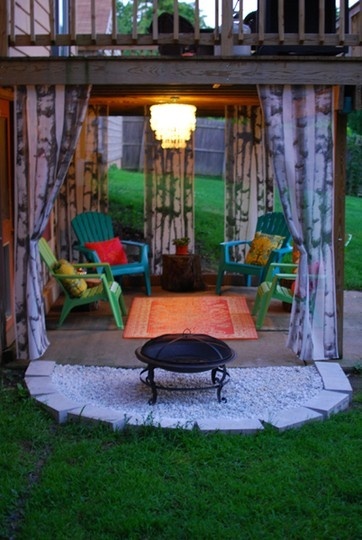 A few Adirondack chairs and even a swing would look sweet. - Hammock- We have two trees that are the perfect amount of space between them. It would be perfect for a two person hammock. 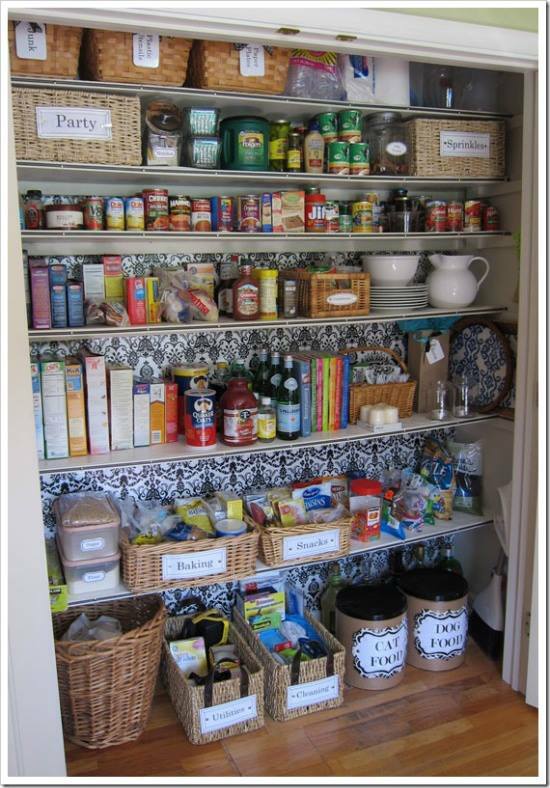 - Pantry organization- My new pantry is triple the size of my last one. I love the way this one has the wall paper in the back and most things are labeled in similar style baskets. There are so many ideas for organizing pantries that I am sure there wont be an issue finding inspiration. 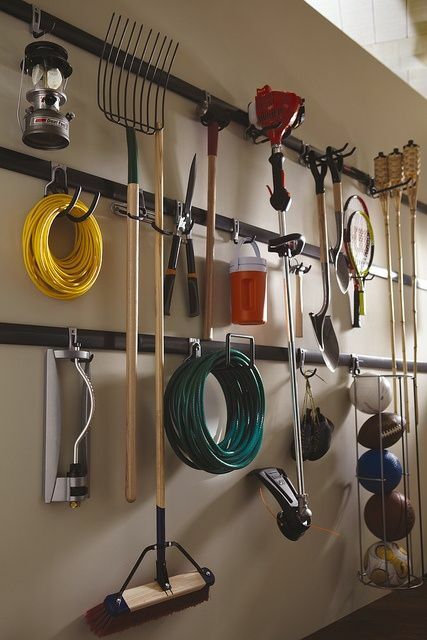 - Garage Organizer- Organizing your garage can be done in so many ways. The one above is made by Rubbermaid and would be perfect for the outdoor gadgets. Jeff also has many tools that he uses for the cars and DIY renovations so we will also need to create an area in the garage for that. I am going to leave it up to him on how he wants to organize that space because mainly he will be working in there. Of course I will still be writing about food and fashion (beauty) and not just home. I am really looking forward to all the new ideas that present themselves with the new house and the new state. The next few weeks will be filled with some moving posts about things we did and learned over this big adventure this past month. Labels: Fashion., Food., Home., Moving.